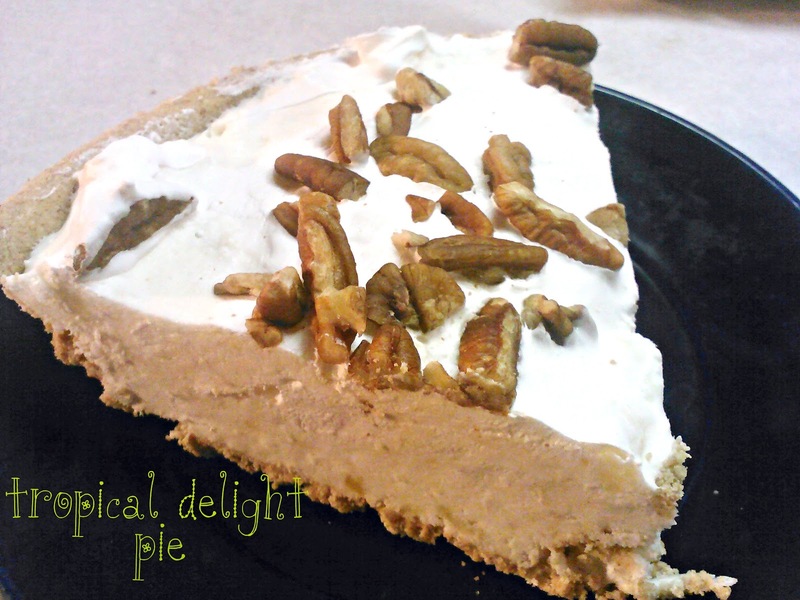 Everyone knows that a package of cream cheese, some sugar, cool whip, and a graham cracker crust equal endless possibilities for a quick cool pie. I was in need of one over the weekend. I had spent the day baking cakes, it was hot. A nice 80°+ day in Iowa, with a great amount of humidity mixing with my hot kitchen meant I wasn't going to bake something else for dessert to take Grandpa's house. With that in mind, I rummaged through my cupboards and mixed in some ingredients and came out with a delicious tasting pie. One I am pleasantly surprised and proud of. My Grandpa, not a huge fan of coconut, said he wanted to lick his plate clean when he was done :) Love him! Even my daughter, who claims not to like pineapple, gobbled a piece right up! It is super simple to mix together and rounds out a meal. Great for those hot days! Mix in the crushed pineapple and coconut. Fold in 2/3 of the cool whip. Spread remaining cool whip over the top to make nice and white. Since it was super hot that day, I popped it in the freezer to set up for about 2 hours before we ate. A few hours in the fridge would do well with it also.